Here is a beautiful softie project that will definitely put a touch of spring in your crocheting projects. 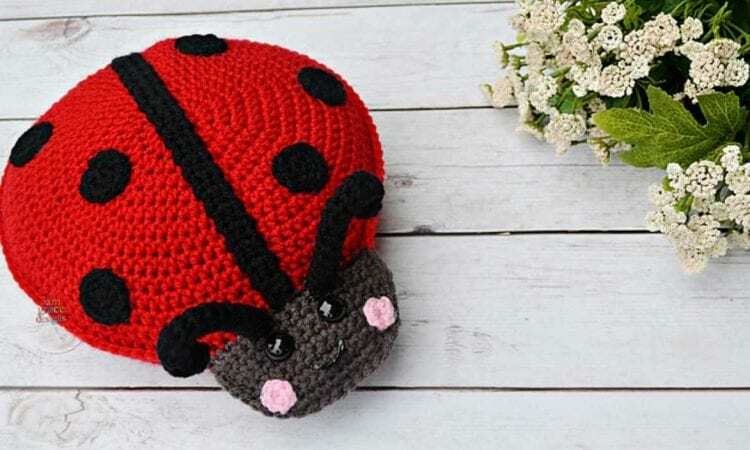 The Ladybug Kawaii Cuddler is a large (11×10”) ami toy for young and old alike. A ladybug cuddler will be also great as a summer pillow. A link the free pattern is at the end of the post.